The talks program will feature talks by local gardening and sustainability experts. Location: The Camden Room, Upstairs at Fred’s, 100 Argyle Street, Camden. Price: $10 per talk. All children under 16 are free. Email emmacastlewriter@gmail.com. to arrange complimentary tickets for your kids. Caroline Clatworthy, President of Macarthur Beekeepers Association Incorporated, will explain the vital role of bees in the pollination of fruit and vegetables, talk about the complex social structures inside a bee hive and help you get started if you would like to host a hive or start your own. There will also be a comparative honey tasting to help illustrate how different pollens affect the flavour profile of the resulting honey. About Macarthur Beekeepers Association: Click here for more information about Macarthur Beekeepers Association. Buy tickets: Click here to buy tickets. Lizzie Buscaino from Piccolo Farm (pictured above right) a spray-free permaculture farming operation near Thirlmere, will share her journey into organic farming, the benefits and challenges of life on the land and how you can apply organic farming principles at home in your own garden. About Piccolo Farm: Click here for more information about Piccolo Farm. Narelle Happ from A Garden for Life is a garden designer and horticulturalist who specialises in native garden and permaculture design. She has over a decade of experience and is passionate about creating ‘living’ spaces which are nurturing, productive and sustainable. She will explain the basics of garden design, from understanding aspect (where the sun comes from), figuring out where to place the beds, improving your soil and plant selection. About A Garden for Life: Click here for more information about A Garden for Life. Roman Deguchi from Inner West Neighbour Aid (pictured above) is a passionate advocate for the need to create inclusive gardens and green spaces for people with disability, mental illness, and the elderly. 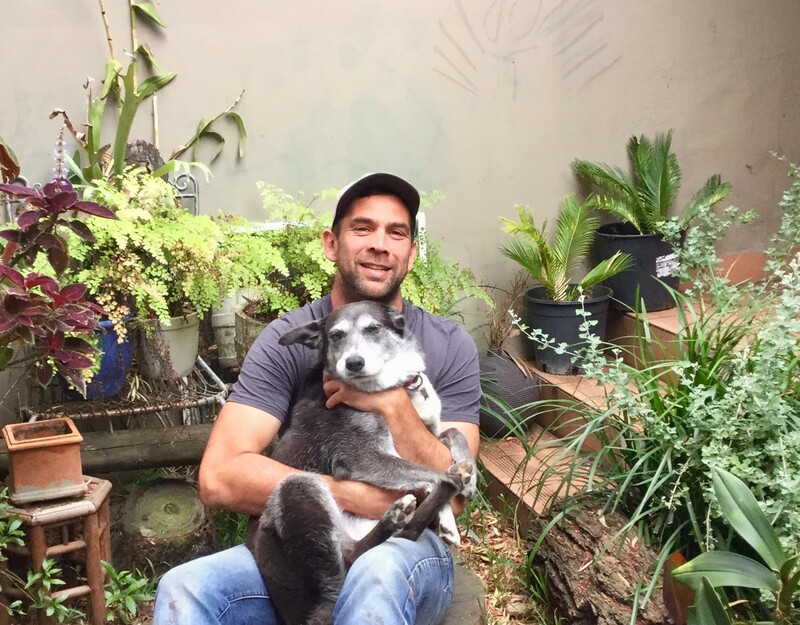 Roman believes that garden projects that are inclusive mean all members of the community can benefit and enjoy them. His dream of a truly inclusive public garden is about to come true in the form of The 5 Senses Garden in Rhodes Park. This innovative green community space will feature five key elements: an edible harvest garden, a sensory garden, communal workshop and eating area, accessible playground and a nature play garden. Come along and hear how Roman got this project off the ground in partnership with the local council and community, and what it will look like. Angie Thomas from Yates and Garden Me Happy is a Horticulture Consultant who will explain the critical importance of understanding the soil type in your garden, explain how to test it (it’s really easy with a testing kit), explain what the soil type and pH means in terms of what to plant, and finally, give you the lowdown on how to improve lousy soil. Gardening begins and ends with soil health – it’s the MOST important thing. Get this right and the rest is easy! Halp! What do I do? I have been picking/shaking them off but there are bajillions of them!